How thoughtful! 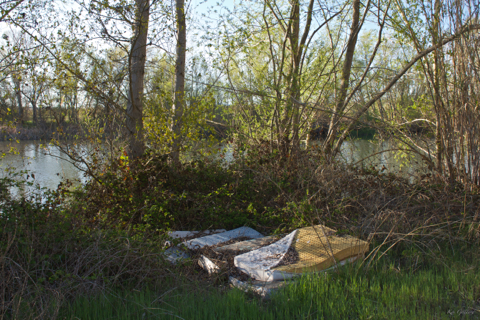 For all those weary souls passing by the Segre River, near Vilanova de la Barca, you now have somewhere to rest. On the other hand, perhaps someone decided it was easier to dump this non-biodegradable rubbish next to the river than to get the council to take it away. Had this been dumped next to the main road (130 meters away), it would have been cleared long ago for the benefit of the majority, unfortunately, for the minority who enjoy a walk by the river, it’s still here.